Mikaela Shiffrin soared to new heights with her recent win at the FIS Alpine World Ski Championships in Åre, Sweden. This win is a huge achievement for Shiffrin, breaking records and becoming the first ever athlete, male or female, to win four World Championship titles in a row. Shiffrin rocketed into the competitive ski scene at the age of 16 when she took gold in slaloms at the 2011 US National Championships and became the youngest skier ever to win a national alpine title. She has soared into high ranks and now holds 3 Olympic medals, 7 World Championship medals, and 57 World Cup wins. Lindsey Vonn Final Career Race in Åre! Renowned Lindsey Vonn claimed a bronze medal at the 2019 FIS World Championships this year, ending her career with one last podium to add to her tremendous accomplishments as a downhill skier. At 34 years old, this makes her the oldest female skiier to ever medal at the World Championships. Vonn leaves behind the world of ski racing as one of the most accomplished athletes of all time. With eight World Championship medals, three Olympic medals, and 82 World Cup wins, the most of any female skier and just 4 behind all-time record holder Ingemar Stenmark, her long career leaves behind a legacy of success. Vonn began skiing at age two. She burst into the international racing scene at age 14 when she became the first American female to capture gold in Italy’s Trofeo Topolino competition. Just three years later Vonn made her Olympic debut in the 2002 Salt Lake City Olympics, and from there it was nothing but up. As Vonn steps away from competition, there is no doubt that she will be remembered as one of the most legendary skiers the world has ever seen. Chongli’s growing snow industry comes as part of China’s quest to become a major country for winter sports — and, they’re succeeding. 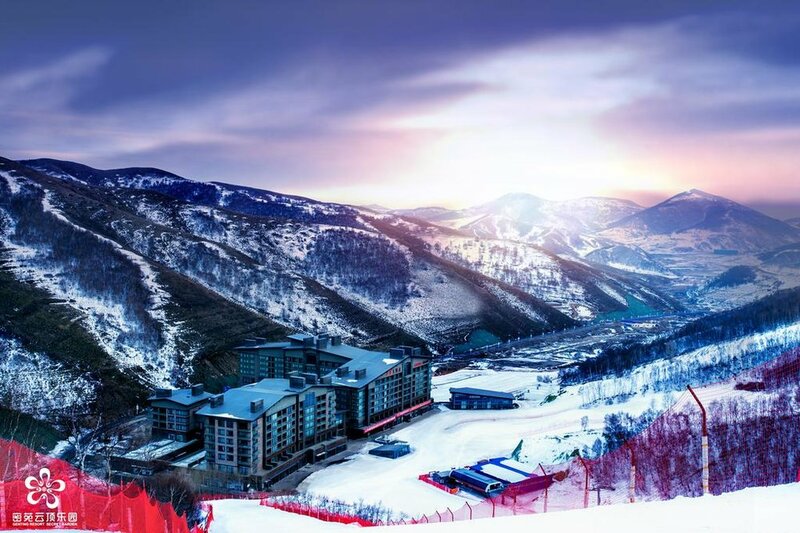 The capital city of Beijing will host the upcoming 2022 Winter Olympic Games and Chongli itself will be the competition grounds for several snow events including snowboard, freestyle skiing, cross country skiing, ski jumping, Nordic combined and biathlon. Click here to see the full list of New York Times 52 places to go in 2019! Åre, Sweden set to host 2019 FIS Alpine World Ski Championships! In 2019 Åre, Sweden, will host the 2019 FIS Alpine World Ski Championships where skiers from all over the world will compete for first place, and members of the Champions Club can watch the fierce competition from the world’s best athletes. The town of Åre is well-known as being one of the greatest places to ski in Northern Europe. It has been a popular destination for tourists, drawing in locals and visitors alike to enjoy the tall mountains and sweeping slopes. But underneath the ski town surface, Åre has much more to offer. For the avid outdoorsman, an abundance of activities await. In the warmer months visitors can enjoy kayaking, hiking, climbing, biking. In the colder months, of course, Åre resort is the largest resort in Sweden with spectacular views and even better snow. For the foodie, Åre boasts a variety of restaurants to choose from. You can try local Swedish and Scandinavian scene, or hit something a little more familiar and try a local pizza straight from the oven. For the history buff, Åre boasts beautiful churches and fascinating museums where you can learn about the history and culture of the town. Åre Old Church was Åre’s first Christian church, and its oldest sections were built in the 12th century. With sweeping mountains and splendid scenery, delicious restaurants, and captivating history, Åre has something for everyone. We hope you’ll join us as we explore the town and cheer on our athletes as they work hard to become the best. Another Olympic Gold for White! A Lunar New Year traffic jam kept the Champions Club from being able to meet Shaun White. I'm sharing a video of his visit for all that had to run off to Mikaela's second run. We appreciate and congratulate him on his third Olympic Gold! A moment to recognize and thank the families that have supported the Champions Club since the inception of the program at the 2002 Olympic Winter Games in Salt Lake City. Thank you Dede & Mike Brooks, Linda & Andy McLane, Susan & Jim Swartz, Kirk Kellogg and Susan & Dexter Paine for joining us in Salt Lake City, Torino, Vancouver, Sochi and PyeongChang! You are the Champions behind our Olympic Champions. It was such a treat to have Jamie Anderson (slopestyle Olympic champion), Arielle Gold (halfpipe bronze medalist) and Chloe Kim (halfpipe Olympic champion) swing by the Champions Club lounge just hours after their competitions. Chloe awarded Kelly Clark with her Order of Ikkos medal. Our U.S. Moguls team joined us for a pancake breakfast this morning. We had the pleasure of meeting and dining with Tess Johnson, Casey Andringa, Troy Murphy, Jaelin Kauf, Morgan Schild and Emerson Smith. 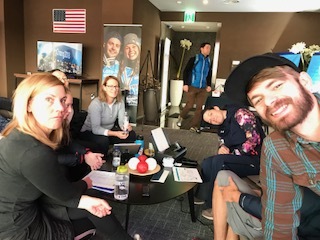 After Red Gerard's historic slopestyle gold medal performance, the first of the Games and the youngest snowboard gold medallist, he and his family visited the Champion's Club lounge. He told us he attributes his success to the support of his family and the support of the team. He included us in the presentation of his Order of Ikkos medallion to his older brother, Kai (chauffer, videographer, and life coach). The Order of Ikkos medallion is a symbol of excellence in coaching as represented by athletes’ achievement as an Olympic medalist. Red is on his way back to the U.S. to appear on many of the talk shows including Ellen, Jimmy Fallon, and Jimmy Kimmel. He will return to PyeongChang to participate in the Olympic debut of Big Air. A meaningful Opening Ceremony with the message of peace, clean sport and global unity! We had the privilege of visiting the Athlete Village today! 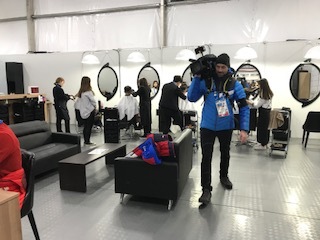 The village is for athletes, coaches and support staff only and where most of the them live during the Games. All of the services they need are available to them free of charge including a dining hall, workout facilities, dental and medical services, game room, hair salon and more. Meet chef Adam Sacks, high performance sports dietician. Adam and his team of chefs are busy preparing breakfasts, lunches and dinners for our athletes. The cozy seating area is where our athletes and coaches refuel and refresh. The kitchen and dining area were a ski shop 10 days ago! 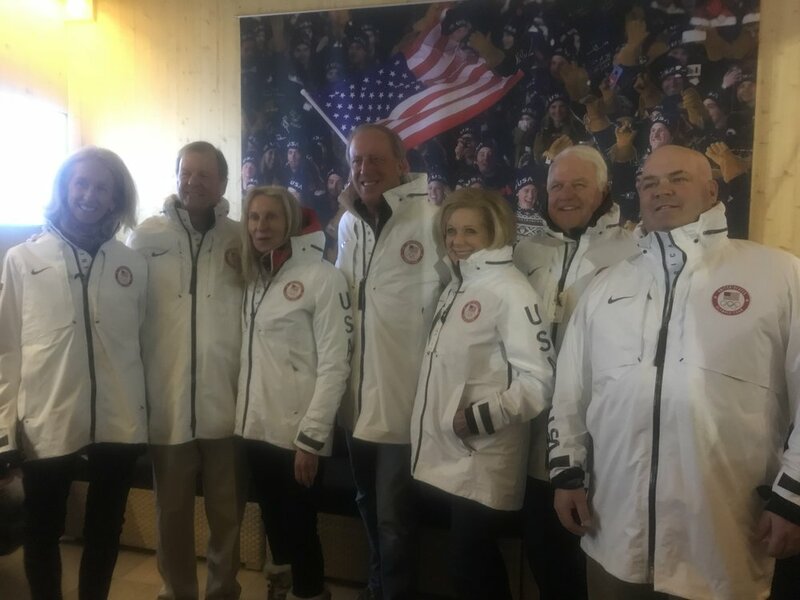 The Foundation team arrived in PyeongChang in advance of our guests to prepare for the once-in-a-lifetime Champions Club experience. We ran through driving routes, stuffed and delivered gift bags, provided a stage for NBC interviews, and so much more. A lot of hardwork but fun work. Let the Games begin! PYEONGCHANG, South Korea (July 15, 2016) – President and CEO of U.S. Ski & Snowboard Tiger Shaw visited PyeongChang, South Korea to meet with heads of the PyeongChang Organizing Committee for the 2018 Olympic and Paralympic Winter Games (POCOG). Shaw plans on returning to Korea this season for the women’s alpine World Cup races, and highlighted Korean-American snowboarder Chloe Kim, who is aiming to compete at the 2018 Olympics. PyeongChang 2018 unveiled their mascots for the Olympic and Paralympic Winter Games. Today in Lausanee the International Olympic Committee Executive Board approved the mascots. A white tiger named Soohorang and an Asiatic black bear called Bandabi. Click here to learn more about the mascots. The first test events of Pyeongchang 2018 held at the new downhill venue of Jongseon were a success for both POCOG and for the U.S. Ski Team. In the inaugural downhill race on the Bernhard Russi designed track, Steven Nyman found the line, and his first podium finish of the season. The event was well organized, well attended, and marked the first-ever downhill race to be contested in Korea. While Andrew Weibrecht skied out in the SG the following day, he showed clear speed by winning his splits before mid-judging a blind gate, a mistake made by a number of the other top favorites. 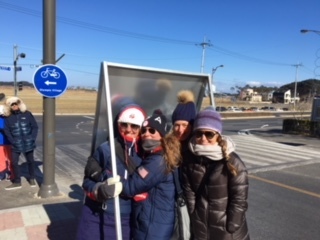 Immediately following the race, Andrew was whisked off to Incheon by private air transfer arranged by the organizing committee to help him get home to Lake Placid as soon as possible to see his new baby daughter, who was born while he was in Korea. Although without Andrew, the rest of the team stayed in Korea for a five day training camp, which was arranged in close cooperation with the Korean Ski Association. Earlier this spring, Lindsey Vonn and I travelled to Seoul and Pyeongchang to establish a cooperative agreement with the Korean Ski Association in which we provide guidance in developing their team and training access at a number of our on-snow camps, and they provide us with exclusive access to train on the new Olympic venues. The Koreans have been incredible partners, and are fantastic hosts every time we visit. For five days following the test event, our team trained with nine Korean athletes on the Jongseon downhill. The course crew, many of who hail from Beaver Creek and our New Zealand training base Ohau, stayed on for the week "unofficially" after their contracts had expired, to help ensure that we could maintain the race surface. We had half a dozen cats and drivers at our disposal through the duration of the camp and had exclusive use of the entire mountain. The athletes were able to take about 20 full-length timed runs on the track, and were also able to run technical sections as needed to gain comfort with the terrain and set. Our team now has about five times the volume of all of the other international athletes on that track now, and also had a unique mid-winter speed camp during a week with no speed races. While on the hill, we were able to gather GPS data and accellerometry to understand the speeds and forces involved with different tactical lines, and collected a bevy of video data, including a "valley cam" that collected line data from the start to the exit of the Blue Dragon Valley corridor, a key point entering the finish jump. Given that the track runs at about 95-100 seconds with no scary sections, the Olympic race will be about precision and building momentum. With tailwinds, the jumps fly very long, up to 65m! In addition to the volume of skiing our team achieved on the hill, we captured 360 virtual reality video of the track, which we will replay for the athletes through VR goggles, as well as digitized video that is synced to a skiing simulator being installed in the Center of Excellence to further expand our team's comfort and familiarity with the track. Finally, for the duration of the camp we stayed in a hotel property located 5 min from Jongseon, which we will use as team accommodation during the Games. With the help of our chefs we were able to do a full test of the property, and gain buy-in from the athletes about the accommodation. It's one of the few properties located at Jongseon, and we feel fortunate to have moved early to secure a setup for our team. First Impressions Bode Well for PyeongChang 2018! JEONGSEON, Korea (Feb. 4, 2016) – You never get a second chance to make a first impression and it looks like PyeongChang 2018 is off to a great start with the men’s Audi FIS Ski World Cup events kicking off at the Jeongseon Alpine Center this week with plenty of athlete praise. This event will serve as the first official Olympic test for all sports in the 2018 Olympic Winter Games program. The men got their first look at the new Olympic downhill course on Wednesday, with a free ski session on the run. Initial reactions were positive from the men on both the course itself and snow quality. “The snow is similar to the Colorado snow that we train on in the fall, so we are comfortable here,” noted Marco Sullivan (Squaw Valley, CA). Apparently it didn’t take long for the American Downhillers to feel at home in Korea. Taking an immediate liking to the Jeongseon downhill track, five guys finished in the top 30 in the first of two downhill training runs with Andrew Weibrecht (Lake Placid, NY) and Travis Ganong (Squaw Valley, CA) leading the way tied for fourth. Steven Nyman (Sundance, UT) was sixth, Sullivan 12th and Wiley Maple (Aspen, CO) 22nd. Track is perfectly prepared! Amazing, nice snow to ski. Safety is well done! It’s a great venue with a good warm up right next to the race hill. The hospitality has been really good with a lot of good food options for the guys. It’s a long drive – one hour from hotel to venue is a bit tough but doable and will be a tiring week as a result. The hill is not particularly difficult, but will have its unique challenge to win. There are lots of blind roles and jumps. The hill’s all about continuing to build momentum and keeping that momentum. It features big turns, but is not very technical. Lots of tucking. No real glide sections, no gnarly sections. Speed is not high yet bit could increase as snow gets faster. The track is a lot of fun. It has big, long sweeping turns – kind of like the lower half of Copper. I think that prepares us pretty well for this hill. It’s kind of steppy the whole way down – lots of steps and big swingers and critical turns that will carry your speed. The snow is dry and it’s cold here. There’s really no snow here…just kind of a couple of little dustings. Everything is manmade. It makes for great ski racing – the track’s a lot of fun. It’s a relief, because it’s been prepped so well. Tommy Johnson was hired to come here and prep it and the snow is responsive and smooth. It feels really good on the body compared to what we’ve done the past few races – it’s nice. It’s definitely a different culture over here – the food and the people and not understanding anything. I’m coming here with open eyes. I’m coming here to learn and prepare myself for the Olympics. I’ve never done a pre-Olympic event like this, so I’m pretty fired up. Bryce (Bennett), Wiley (Maple) and I walked through the town the other day and we didn’t fit anywhere. Surprisingly, not as many people stared at us as we thought they would – three big Neanderthals walking through town. The track flows fairly nicely the whole way down. It is not very fast so I think they can straighten out some sections for the Olympic race. The jumps are fun and built nicely. The snow is similar to the Colorado snow that we get to train on in the fall so we are comfortable here. Also, most of us enjoy the jumps so there is no holding back in those areas. We haven’t done a ton of exploring so far but since we got off the plane things have been well-organized and easy to manage. Most of the meals have been buffets, which feature some native Korean fare and some more common foods. It has been a little bit hit-and-miss with trying foods that we have never tasted before. Overall the organizers are treating the racers great. It’s a nice hotel with good food and good skiing – that is enough for me. Get your first look at the race program for the 2017 FIS Alpine World Ski Championships in St. Moritz. Over 600 athletes from 70 different countries will compete for the World Championships in 6 different events: downhill, giant slalom, super G, slalom, alpine combined and the nations team event. The opening ceremonies will take place on Monday, February 6, 2017 and close after two full weeks of competition on Sunday, February 19, 2017. ST. Moritz 2017 FIS Alpine World Ski Championships race program. St. Mortiz Celebrates 150 Years! For over 150 years, St. Mortiz has been known as one of the most prestigious and luxurious winter destinations in the world. Since 1864 it’s chic and elegant reputation has attracted the rich and famous worldwide. Nestled in the Engadine valley in Switzerland, St. Moritz has hosted the Olympic Winter Games in both 1928 and 1948, becoming only one of three cities to host the Winter Olympics twice. It has also hosted the 1934, 1974 and 2003 FIS Alpine Ski World Championships. In 2017 the FIS Alpine Ski World Championships will return to St. Moritz. with over 700 athletes from more than 70 nations, the World Championships represent the largest most impressive collection of ski racing talent in the world, second only to the Olympic Winter Games. The International Olympic Committee (IOC) has completed its fifth Project Review visit to Pyeongchang ahead of the 2018 Winter Olympic and Paralaympic Games, with the venues for next year’s test events, as well as the Alpensia Sliding Centre, coming in for particular praise. Led by the chair of the IOC’s Coordination Commission Gunilla Lindberg, the delegation were briefed across two days of meetings on areas of Games preparations including venues, governance, workforce, marketing and technology and venue visits. It comes some six months after the fourth Project Review, following which Lindberg stressed that timelines remained tight, particularly with the 2016 test events in mind. “We had a very good fifth Project Review visit to Pyeongchang,” said Lindberg. “We could see that the Organising Committee, under chairman [Yang-ho] Cho’s leadership, is fully focused on its first test events, as it transitions from being a planning organisaton to one that must deliver operationally. 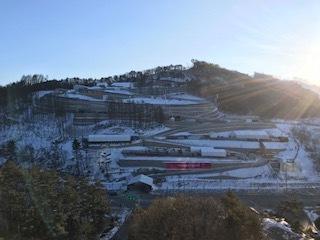 “We also visited the Bokwang and Jeongseon venues, where next year’s test events will be held, as well as the Alpensia Sliding Centre. It is claimed the IOC delegation was happy with the growth in staffing that POCOG is planning in order to deal with this new role. “We had very productive meetings and I am pleased that since the last Coordination Commission visit in March, we have made good progress in preparing for Pyeongchang 2018,” said POCOG President and chief executive Yang-ho Cho. “Now we are making utmost efforts and working closely with the International Federations to successfully deliver the first test events which are only six months away, making headway with sponsorships with new signings and cooperating with all stakeholders including IOC, Central Government and Gangwon Province to ensure a successful Winter Games. "I appreciate the continued support of chair Lindberg and the International Olympic Committee, and will move ahead to reach operational readiness, as well as increase our communication with the local and international audience." The IOC visit coincided with the signing of another top tier domestic partner for POCOG, which confirmed the interest and support for the Games by the Korean business community. Chair Lindberg also met with Gangwon Governor Moon-soon Choi during her stay. The Project Review meetings are technical visits to the host city and serve as interim updates between full Coordination Commission visits. The next update to the IOC will be POCOG’s presentations to the IOC Executive Board and Session next week in Kuala Lumpur with the next Coordination Commission visit scheduled for September.